collects scientific achievements of employees and doctoral students of the John Paul II Catholic University of Lublin. 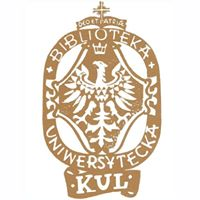 The purpose of the repository is dissemination of the scientific achievements of the John Paul II Catholic University of Lublin, promoting conducted scientific research and supporting didactic activities. The repository collects, stores and shares digital documents in the form of books, scientific articles, scientific journals, conference materials, didactic materials etc.